Extensive and delicately cared for grounds, surrounded by hills and two of Europe's top listed golf courses, Moorish architecture, and high-end amenities. Tucked away from busy tourist hotspots, this original 104 bedroom hotel set in 22 acres of magnificent land provides the perfect opportunity for its guests to take a much needed minute. 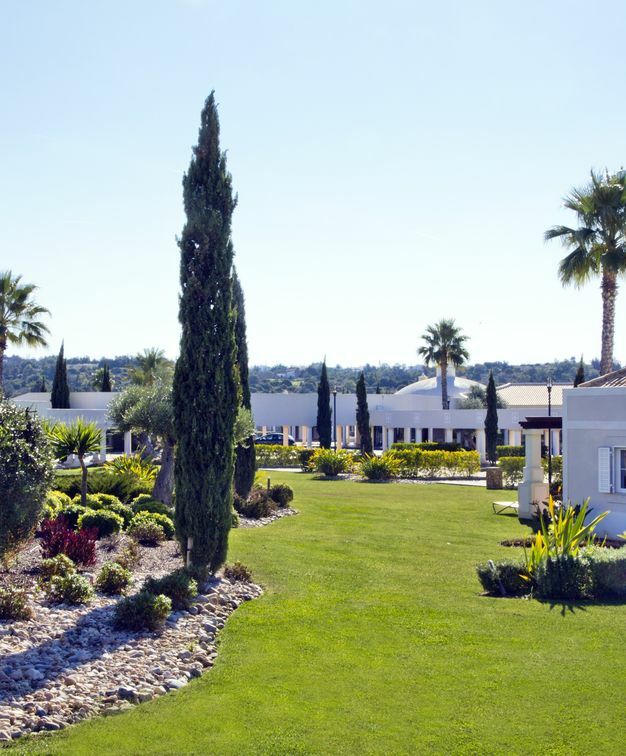 It's breezy Morrish architecture offering a myriad of quiet interior courtyards and water fountains mark the ambiance of Vale d'Oliveiras Quinta Hotel&Resort - a perfect place to recharge or connect. In addition to the lavish Spa, guests can also enjoy the outdoor and indoor swimming pools, the tennis court, the jogging track, and the onsite organic vegetable garden. The hotel is an easy 10-minute drive from the picturesque nearby coastal villages of Carvoeiro and Ferragudo, and the hotel provides regular shuttle buses to the beaches just 4 km away. The staff is incredibly accommodating and has an informed pulse on local activities, events and things to do. The hotel offers 22 bedrooms, 2 suites and 80 one to two bedroom apartments with a kitchenette which includes a refrigerator and dishwasher. 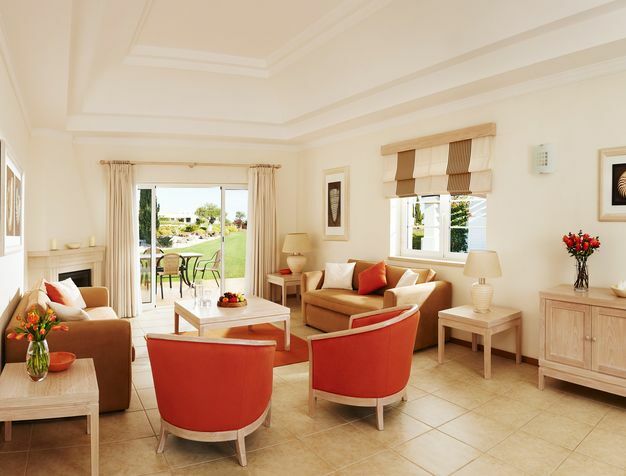 Rooms are generously spaced with views of the hotel's grounds or outdoor swimming pool and feature a contemporary and light interior design with high-end fittings and fixtures. "Excellent. Fabulous resort. Hotel staff most helpful and courteous. Facilities well maintained, safe and clean. Accommodation and food of a very high standard. Would not hesitate to return." 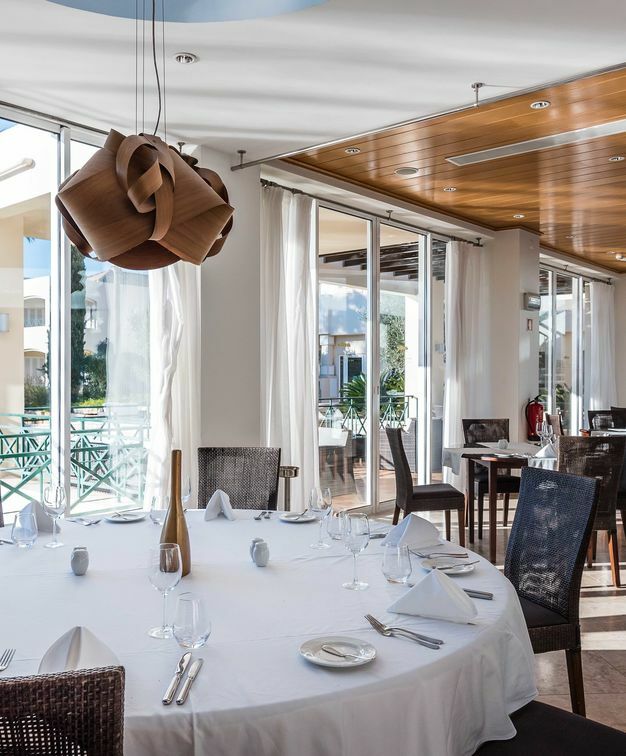 Enjoy exciting Mediterranean meals cooked with the freshest ingredients, some from the grounds' own organic garden, in the casual chic Olive Tree restaurant overlooking the swimming pool. Guests can go right next door cap the night off with a drink at the Olive Bar or relish a poolside meal or drinks at the fabulous Jasmine Restaurant & Poolbar. 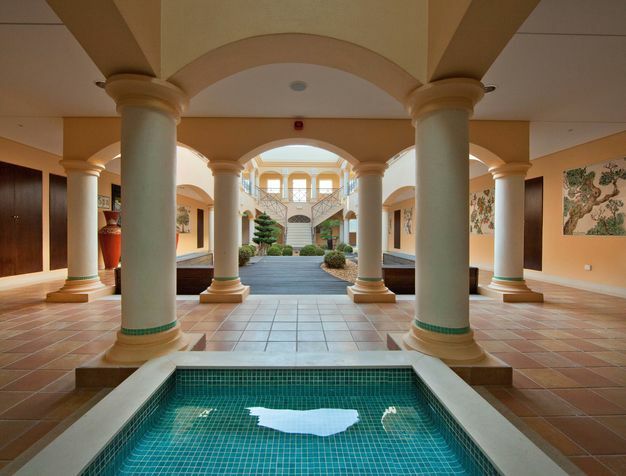 With a lavish Spa, fitness room, indoor and outdoor swimming pools, and a tennis court are just some of the leisure facilities offered by the hotel on site. With two of Europe's best golf courses neighboring the grounds, the spectacular nearby beaches, and characterful villages, there are no shortages of things to do and experience.